Albania is a fast-emerging tourist destination. It is home to ancient sites, beautiful beaches, natural settings and old traditions. All these elements are often included in handmade souvenirs that you can buy only in the old bazaars or gift shops. 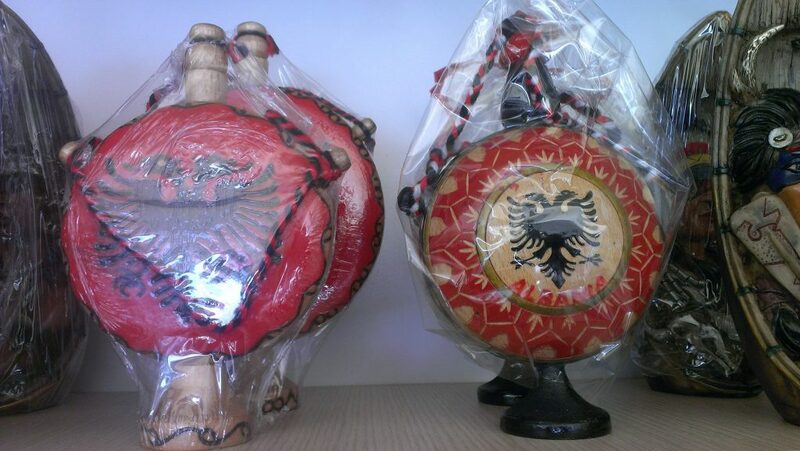 While most of the souvenirs are standard tourist kitsch, such as lighters, mugs, and fridge magnets, here’s a list of things that you can buy only in Albania. The image of the Albanian National hero is a crucial motif in numerous artworks from statues to paintings. Statues include Skenderbe on horse, standing, and bust while paintings are a reproduction of famous old paintings depicting war scenes and other moments. Wood engravings are valuable artworks. 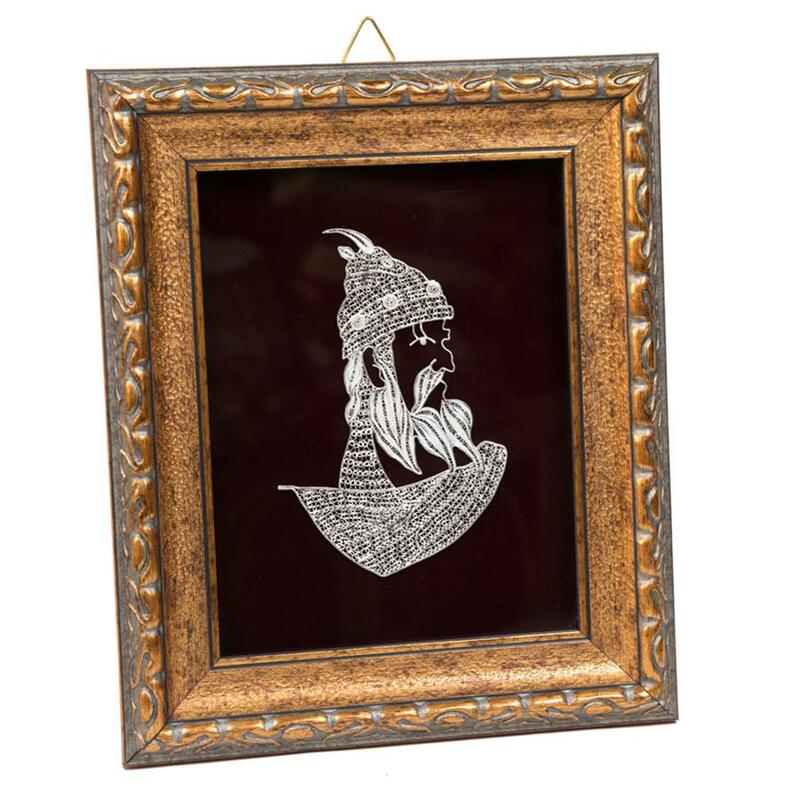 Their size and price vary from €10 to €200 for filigree artworks. Albania has so many concrete bunkers that Albanians lost count. There have been cases of foreign citizens that purchased a real size bunker during the 90s like the one in Tirana Viti Zero movie. Nowadays, the only bunker you can buy in Albania is in the shape of an ashtray. 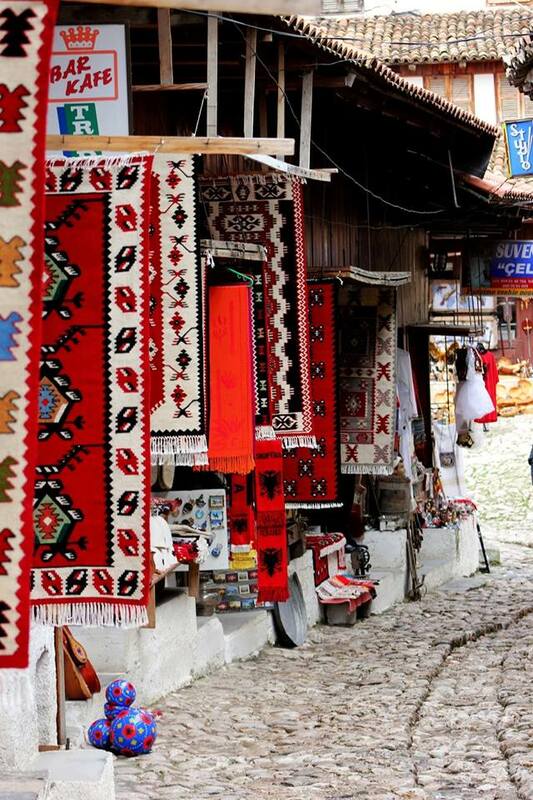 If you love handmade rugs, the old bazaar of Kruja is the place for you. With the exception of filigree artwork and traditional clothes, rugs and kilims are the most expensive souvenirs you can buy in Albania. They have beautiful colors and motifs and can be used also as wall art. Wool is the main material used and it makes the rug durable and soft at the same time. A small 30×60 rug costs around €15. Carpets are also available in the bookmark version. 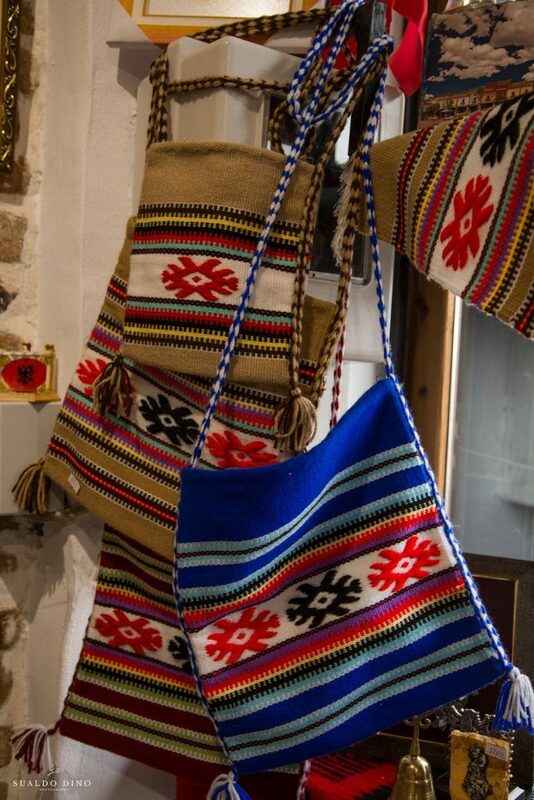 Traditional bags and socks are used for ornamental purposes. They are handwoven and have the same motifs and patterns seen in traditional carpets and kilims. Bag price €5, wool sock price €14. A tourist cannot leave Albania without a bottle of Skenderbeu cognac on his bag. 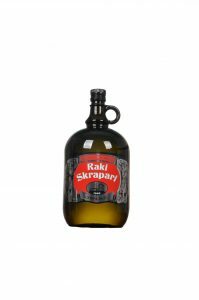 This is an original Albanian beverage and worldwide known brand. Price varies depending on bottle size. Grape from Skrapari is another famous product of Albania. This grape is distilled by using the old tradition of Zeberzan village. It has the right alcohol content and everyone over the legal drinking age can have it. Filigree and silver processing is an ancient artwork among Albanians. You can notice them in souvenir shops. Filigree and silver processing includes jewelry and replicas of other artworks. Prices vary from €10- €200. If you collect coins or postcards, here’s the chance to add something new to your collections. Buy Albanian books translated into the English, Italian, French or German languages. 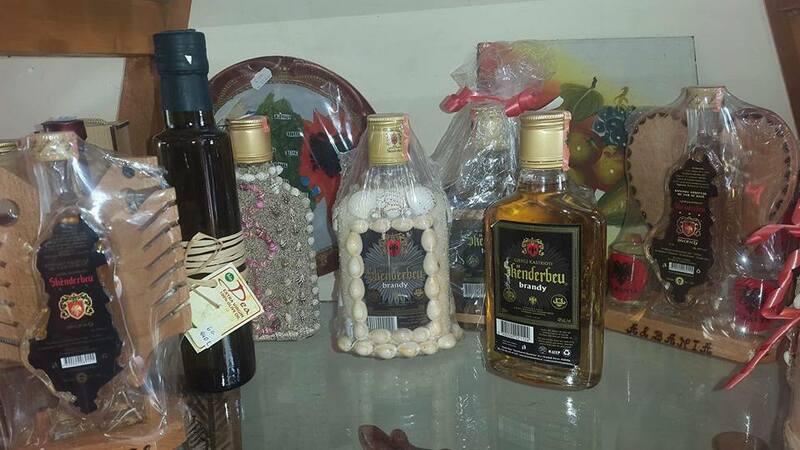 Buy Albanian wine, olive oil, cheese, honey, tea, and aromatic herbs. 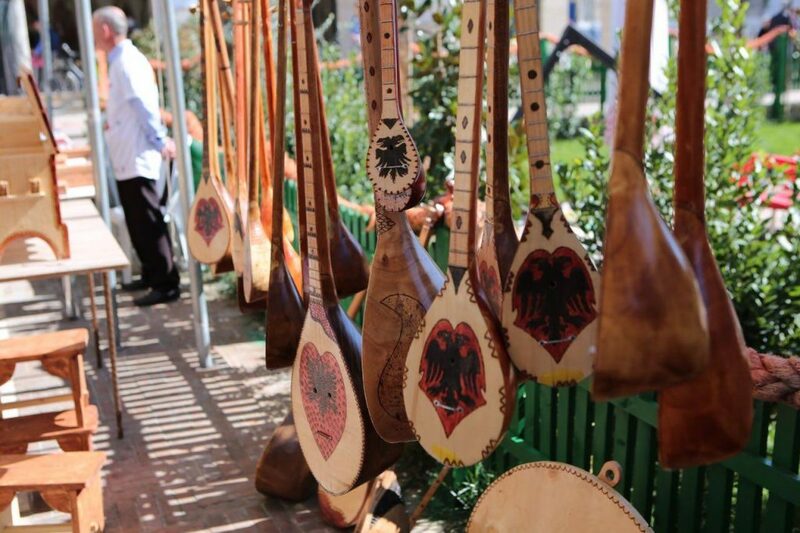 Check the products for authenticity and be sure that they are made in Albania and always negotiate for a cheaper price. My husband and I recently visited Sanranda and had a lovely time. We enjoyed a a glass of wine accompanied by an apple with honey at the Grand Hotel and it was delicious. I would love to by some of the local honey and I was wondering if you knew of someplace online that I could purchase some.